We have been asked a lot about this so we’ll do our best to describe it from our experience, we’re still looking for something already published with average highs and lows, things of that sort, but haven't found it yet. If you are not familiar with the south, its warm and humid compared to the rest of the US. However Alligator Point is right on the coast where we are tempered by the water, so you'll find it a more pleasant place to be than inland, a little less hot and humid in summer, and not as cold in winter. You can find data from a weather station on Alligator Point at http://www.wunderground.com/weatherstation/WXDailyHistory.asp?ID=KFLALLIG1. The current conditions sound accurate, but when we last listened to historic conditions it said the low for the year had been -3. This hasn't happened since the last ice age, maybe they meant Celsius, but the rest of the report was in Fahrenheit. You can usually find Tallahassee temps and weather in most newspapers, the weather at Alligator Point is similar, except that when its cold in Tallahassee its warmer on the Point, and when its’ hot in Tallahassee its cooler on the Point. We were down one January when a very cold front moved through, in Tallahassee it dropped to 20 degrees, but at Alligator Point it never went below freezing. By the same token on warm summer days its as much as 10 degrees cooler at the Point. This is a mild subtropical to warm temperate climate, weather is fine for fishing, boating, beach walking, sunning, and most anything the year around. Swimming is probably the most seasonally impacted activity. We swim regularly from mid spring to mid fall, Rob has been swimming in the Gulf every month of the year, but in winter its something done for exercise, or to say you did it, not a long leisurely soak. If you want to swim in winter, and the Gulf is too cold, Wakulla Springs and other springs in the area have a constant year around water temperature of about 70 degrees. Gulf temperatures vary from low 60’s in winter to upper 80’s in summer. Surf temperatures can be a little higher or lower depending on recent weather. Spring, this is one of the nicest times of the year, early on you may get a little, late winter like weather (see below), but spring warming starts early. Average high temps are probably low 70’s in early spring and mid 80’s in late spring. This is a transition season, early on weak cold fronts occasionally come through, by mid May the summer weather cycle has set in and local conditions such as thunderstorms dominate the weather. May seems to be the most storm free month. Lots of nice days, we start to swim regularly in the Gulf some time in April, when the water temperature starts to rise well into the 70’s. Summer, Rob’s favorite season, he says if you can't spend all day, or night in the water and wet without eventually feeling cold, its too cold. Summer weather is very typical of the eastern Gulf coast; high temperatures are usually in the 80’s, tempered by an afternoon sea breeze most days. Temperatures in the 90’s happen, but not so often right on the water. We doubt it has ever reached 100 at the house. Over night lows are usually in the 70’s. Rob agrees with the redneck's view of heat, it is preferable to cold. When it's cold you have to put on lots of clothes and being outside is never comfortable. When it's hot all you have to do is get a cold drink (for Rob a beer) and sit in the shade, no problem! The summer weather pattern is mostly driven locally. The average day starts out calm and high 70’s to 80 at sunrise, as the day progresses as it gets warmer the sea breeze picks up; this keeps it from getting very hot on the water. The high is usually mid to upper 80’s in the afternoon, the sea breeze peaks about this time, then some days it dies at dark or soon after, some days it blows well into the night. On average you will have an afternoon thunderstorm every two or three days, these can be impressively violent, but that usually only lasts a few minutes, and often the storms clear within an hour of starting. Occasionally weather patterns result in rain lasting for a day or more, but fortunately this is less common. We do have an occasional hotter day, it usually happens when for some reason there is no sea breeze. Summer is thunderstorm season, and we get a lot of them, coastal Florida gets more thunderstorms than almost any place on earth, actually only a few places in the Amazon and Equatorial Africa get as many, no where gets more. Alligator Point gets on average about 115 days a year with thunderstorms. Except in mid winter it is rare to go a week without one. Tampa is derived from an Indian word for lighting. Just enjoy them most only last about an hour. Don't go out and play lightning rod, but don't let the wind and thunder frighten you. Although lightning in Florida kills more people than sharks, the odds of being hit are low if you use common sense. The screened in porch is a great place to watch a thunderstorm, and you can usually stay dry. Don't get caught out on the water, but more people are drowned in capsized boats than struck by lightning. Thunderstorms are one of Rob's mother's favorite times to go swimming, and she's 70+ (don't anyone show her this!). Even though summer is the peak thunderstorm season they can happen any time of the year, we have seen some great thunderstorms in mid winter. Late summer and early fall are hurricane season, but we don't recommend that people plan their vacations around hurricanes, they are rare events in 8+ years of renting a house on Alligator Point we have never had a renter forced to leave and only once had a renter who had to delay their arrival by a couple of days. In that time we had 2 real hurricanes, as luck would have it we were down for one, Opal in 1995, and the other Earle in 1998 hit between renters. If there is a hurricane you will have ample warning to leave, and if there are mandatory evacuations we will not charge you rent or refund your rent. We have a lot more warnings and even evacuations than we have hurricanes; the weather service is very conservative. See below for more on hurricanes. Fall, Kate’s favorite season, the water is still warm, but the air is beginning to cool, a bit. Fall is most people’s favorite weather season, but probably the slowest tourist season, a good combination. Early fall can be like summer, but the shorter days usually result in noticeably cooler temperatures by October. October is usually good weather, only the rare weak cold front late in the month, but less heating to form thunderstorms. October highs are usually in the 80’s, but lows begin to drop into the low 60’s and 50’s, rarely colder. Later as fall progresses you begin to see cold fronts, and early winter like weather (but usually warmer). We usually are comfortable swimming regularly into early to mid November, and have done a lot of swimming over Thanksgiving weekend, but not always comfortably. Winter, our winters are not as mild as south Florida's, but then we don't get the millions of tourists they get either. The big difference isn't so much temperature, our averages are only a little lower than further south, but we tend to get a few more cold fronts, and storms. We do have a lot of nice sunny winter days in the 70’s and even some in the 80’s. Winters are mild, highs probably average in the upper 60’s, but in winter average doesn’t mean much. One day it will be in the 70's and the next it will not get above 50. Typical winter weather patterns are driven by cold front passage. In the heart of winter, mid December to late February the typical pattern is passage of a cold front with cool rainy weather followed by a warming trend, usually sunny, followed by another cold front. When the cold front is passing its cool, highs maybe 50’s and rainy, this usually lasts about a day. After front passage you usually get a cool to cold but sunny day with a high from the upper 40’s to the low 60’s. After that first cool or cold day temperatures warm each day, and you typically get several nice days, highs gradually rising from the upper 60’s into the 70’s, and sometimes low 80’s. Then another front passes, and it starts all over again. Overnight lows right after a cold front are usually the coldest temperatures you'll get, occasionally even below freezing, that rarely happens more than a night or two per year. You will see lots of outdoor plumbing on the Point, and it does occasionally freeze, but not often. If it gets really cold, close to freezing when you are there please leave water running slowly at night. If you come down for a week in winter the weather will be better than it is in most of the country, and may be really nice and warm all week, but you do risk seeing more of the cool, stormy part of the pattern. That’s why we tend to have more monthly rentals in winter, in any month you'll be sure of a lot of good weather, and you can just visit indoor or sheltered things on stormy days. Canadians are frequent winter visitors, they seem to appreciate the lack of people, and lower prices, with only a little cooler weather as compared to south Florida. The Alligator Point Campground stays full all winter, if that tells you anything. These are average temperatures from Panacea, a little inland of Alligator Point but with very similar weather. In summer Alligator Point will probably be a little bit cooler and a little bit warmer in winter. Temperatures in Tallahassee are even hotter in summer and colder in winter, if you take a trip into the city in July or August you will appreciate the Alligator Point sea breezes. Water temperatures, the temperatures shown above are from the National Oceanic and Atmospheric Administration's ( NOAA). Water temperature like the air varies after a few warm windless days the water can be much warmer, and after a cold front and north wind it can be cooler . NOAA also says: "Although most people are comfortable with a wide range of air temperatures, that range is considerably narrower for water temperatures. Swimming is generally most comfortable when water temperatures are in the 70 to 80 Degree Fahrenheit (F) range. When readings climb above 80 Degrees F the water may become uncomfortable for active recreation. Below 60 Degrees F, good protective suits are needed. The degree of comfort is dependent upon personal preference, health, nutrition, age and other factors." Rob disagrees, for him the warmer the better, if it's too cold to stay in for at least an hour, after dark it's too cold for him Some people do swim the year around, but in winter it's more for exercise or just to say you went swimming on your Florida vacation. It is a bit warmer further south, but even in say Naples the water temperatures only average about 5 degrees warmer in the coldest months. Click here for current weather live from the nearest offshore bouy (about 100 miles offshore). One last word: we get asked a lot about hurricanes, tornadoes, sharks, alligators and snakes. Don't worry you're safe. Hurricane season extends from June to November and peaks in September, but the odds of experiencing one are very low at anytime. If a hurricane is approaching, just listen to the radio or TV. For powerful Hurricanes to form and build they must be over warm water, generally the water has to be warmer than 80 degrees to a depth of about 200 feet. This tends to happen in late summer. The table below comes from the NOAA website and lists the number of "major" hurricanes to strike Gulf or Atlantic states by month from 1900 to 1996. It is odd that November is not represented, Kate one of the worst hurricane to hit Alligator Point in recent years was a November storm. But you can see that September is the big month, the month with consistently warmest water in the Caribbean and Gulf. Note that this table covers the whole US East and Gulf coast, most of these hurricanes were never felt at Alligator Point, what it says is that 36 times in 96 years a powerful hurricane hit somewhere on the US coast in September. You'll get plenty of warning to evacuate, usually 24 hours or more. And for a really bad storm the police are supposed to go house to house telling everyone to evacuate, don't count on it though. 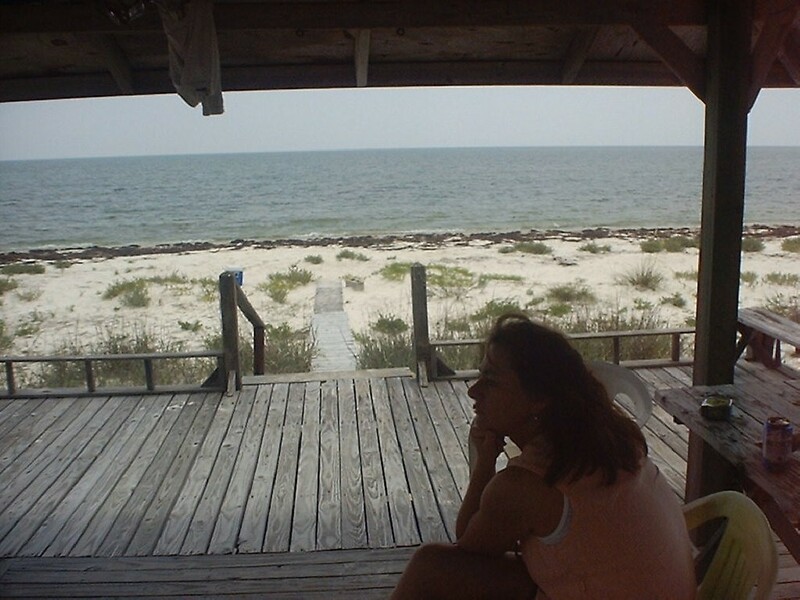 We were in the Gulf Breeze, our old house for hurricane Opal in 1995 and did not evacuate. The 100 mph wind and the surf was an impressive, but probably not life threatening sight (We would strongly advise anyone to evacuate for a storm like Opal, what we did was probably foolish. The peak of the storm surge coincided with low tide and the eye moved ashore over 100 miles to the west, if timing or landfall had been different it would have been life threatening). Hurricane Earl in 1998 was a much less powerful storm, but it's storm surge was such that it did more damage on Alligator Point than Opal, you can thank Earl for making the beach closer to the house than ever before. This paragraph was written when we had the Gulf Breeze, our new house Kate's Dream is more exposed and we do require that if you are asked to leave you leave. As a storm approaches the sheriff usually knocks on doors and asks people to leave, if this happens please leave. You will hear of mandatory evacuations on the radio, if one is issued for Alligator Point please leave. The sheriff asked us to leave when Gordon was approaching the coast in September 2000, but the order was rescinded after a couple of hours and nothing happened. We just went to Panacea for lunch and then went back. The weather people and emergency folks have gotten very conservative, they then to ask people to evacuate and post warnings many times when nothing happens. Rob is a bit skeptical about some of these warnings, but he has lived on the coast with hurricanes a long time, Kate has a tendency to take the warnings more seriously. Kate is probably right, listen to the warnings! Make no mistake if a powerful hurricane makes a direct hit on or near Alligator Point, the house will be destroyed, knocked flat and washed away and anyone in it will probably die. The odds of this happening are low, but we don't want anyone taking chances. If you are in the house when there is a hurricane warning posted listen very carefully to the news, if you are asked to leave or a mandatory evacuation is posted you should leave! A problem is that the road sometimes washes out in front of the campground just from the big waves that hit before the storm blocking your exit from the Point. It is possible for things to look fine at the house and for the road to go out at the campground trapping you there, that is one reason not to ignore evacuation instructions. Don't worry about this, it is very rare we just don't want a renter to get trapped at the house. If hurricane warnings are posted or an evacuation is ordered we will of course refund rents and deposits, your safety is more important to us than your rent. Just to give you an idea of the risk according to the FSU website in the 100 years between 1900 and 1999 10 hurricanes hit Franklin County; 9 of these were "minor hurricanes", category 1 and 2 storms. Only Hurricane Elena in 1985 was considered a "major hurricane". It was a category 3 storm that zig zagged off the coast and finally went west to make landfall near Mobile, in it's travels the eye twice passed very close to Alligator Point. The worst of these storms usually only lasts a few hours, but if you assume each hurricane represents 3 days of bad weather, that's 30 hurricane days in 100 years, not a very high risk for the average vacationer. Hurricane City is a good site to do hurricane research on, you can find pages there specifically on Apalachicola and Panacea Hurricane histories and risk. Alligator Point is between Apalachicola and Panacea, but closer to Panacea. For more on hurricanes our favorite sites are The National Hurricane Center's website and Hurricane City. The National Hurricane Center is NOAA's official hurricane website, and where a lot of the popular press gets their information. It is a good no nonsense source of hurricane information. A problem is the press, your TV weatherman, knows that the most threatening sounding forecast gets them their best ratings. For example as Lili approached the Louisiana coast all popular press and TV and radio forecast talk was about the powerful category 4/5 storm and how much damage it could do. If you read the National Hurricane Center's discussion it clearly predicted that Lili would probably weaken before making landfall, this tidbit was omitted from most forecasts. Sure enough as the hurricane approached the coast it weakened considerably and did little damage. We find that if the National Hurricane Center is forecasting a powerful storm it is wise to listen. Hurricane City is a fun website with lots of hurricane info, our favorite part is that you can vote on the direction a hurricane will take. It gives you a sense of control, and probably is about as accurate as most ways of forecasting the weather. Our Hurricane Policy if you are required to evacuate or if hurricane warnings are issued and you do evacuate we will prorate your rent and return rent for the days you miss or work out something reasonable. If a manditory evacuation notice is issued you have to evacuate. We can't help much with an evacuation, but if a really powerful storm is coming in you are better off in your car on high ground, probably in Tallahassee or north than any where on Alligator Point. Finding a motel in Tallahassee is a good option if you can get room. If things look bad just go. If hurricane warnings are issued without manditory evacuation the choice is yours, if you do evacuate we will prorate you rent for the time that the warnings are in place and you are not in the house. Evacuation is not always necessary when hurricane warnings are issued, sometimes the storm is a weak one, or if it is going ashore well south and east of Alligator Point the risk is less (The reason for this is that hurricane winds are counter clockwise and the greatest risk is from the storm surge and surf. If a storm goes ashore to the southeast then the winds blow out to sea pushing water away from the land rather than onto it.). Unless you feel you really understand the risk when hurricane warnings are issued go! If in doubt evacuate. If tropical storm warnings, hurricane watches or tropical storm watches are issued without an evacuation order we will not refund rent. If you make reservations during hurricane season you take some risk of a weather problem, that is one of the reasons rents are lower in September and October, but we do not want that risk to include risk to your safety. This is more generous than most vacation rental agencies who offer no hurricane refunds (see for example, http://www.topsail-realty.com/pages/rental_info/rental-b.html). If in doubt contact us. 2004 Hurricane Update we just finished Florida's worst hurricane system in living memory. Alligator Point was directly hit by Tropical Storm Bonnie, missed by Hurricane Charley, directly hit by a much weakened Hurricane Francis, brushed by Hurricane Ivan, hit by a weakened Hurricane Jeanne, and brushed by Tropical Storm Mathew, all in a matter of about 6 weeks. 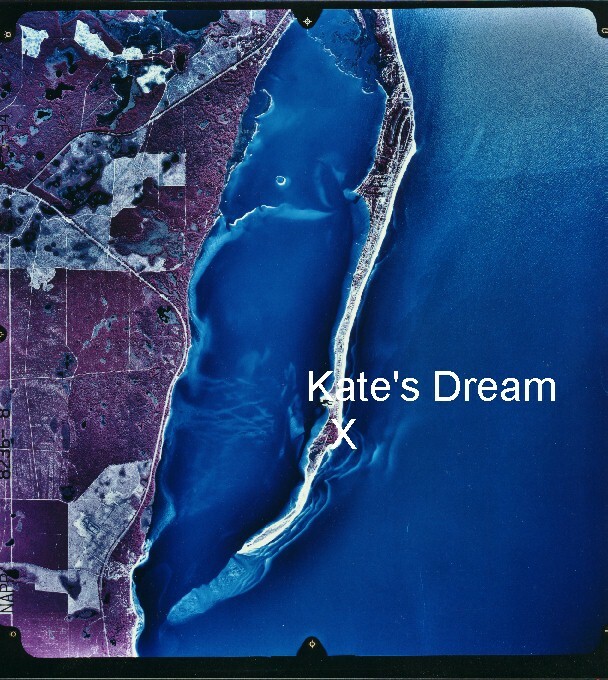 We live on the point, just down the beach from Alligator Pint in Kate's Dream and our house is more exposed than Alligator Pint. We only evacuated once for about 12 hours, but we insisted renters evacuate more often, maybe 3 or 4 times and never for more than 24 hours. None of the storms did us any real damage, we were lucky. Hopefully this year was as bad as we will ever see it, but the point is even this year was not terrible, not for us anyway. Tornadoes are common; Florida gets more tornadoes than any other state. Fortunately most of our tornadoes are smaller and less powerful than those that strike the Great Plains and Midwest. But occasionally more powerful ones strike. The house next door to the east was hit by a waterspout (a tornado on the water) a couple of years ago and lost its roof and sustained a lot of damage. The tornado was so small it didn't damage Kate's Dream or the house on the other side. That is the only house on Alligator Point we know of that has ever been hit by a tornado. Tornadoes come from funnel clouds and if you look at the underside of some of the particularly impressive thunderclouds you may occasionally spot a funnel cloud. Once years ago when Rob was a kid he was at the beach and saw a storm with 3 funnel clouds, 2 of which became water spouts but he has never seen a water spout or tornado at Alligator Point. In recent years the weather people have taken to issuing tornado warnings. We are not really sure what to do when we hear these warnings, we have never seen a tornado occur during a warning period and they are such fast moving and isolated phenomenon useful warnings are hard to heed. If you are or feel threatened by a tornado when at the house go into an interior downstairs room, the small bathroom is probably the safest place. This is not likely to happen. Sharks are found in the Gulf of Mexico and we have caught them off Alligator Point. Generally the sharks that come into the shallow water near shore are small and of a harmless type. Fishing for them can be fun. Far more people in Florida die by lighting strike or even falling in their bathtubs every year than by shark attack. That fin you see in the water is more likely a porpoise than a shark. To the best of our knowledge the most recent shark death in the area was in about 1989 on Panama City Beach, 100 miles away. A note, if you do fish for shark catch and release is the best policy sharks do not reproduce as prolifically as many fish and some are becoming threatened. If you want to keep a shark be sure and check the Florida fishing regulations these are always changing but keeping and killing sharks is strictly regulated. Alligators are freshwater animals and you won't see one on the beach (we have no idea why its called Alligator Point). You will probably see some at Wakulla Springs or in some of the rivers or lakes. As with the shark, attacks are very rare. Rob's brother did once see one crossing the road near where the road first enters Alligator Point, about 4 miles east of the house. The gator must have been lost, this is rare. One note on alligators they are much more likely to eat a dog than a person, don't let your dog go swimming in freshwater, it's illegal to feed gators and unpleasant to loose your dog to one. An important note, Rob believes small children are more at risk than adults. This makes some sense adults are just too big to be easy prey, young kids are not. When dealing with either shark or alligator we suggest you use common sense, don't attempt riding or wrestling either. Snakes are rare near the house, and we have never seen a poisonous one at our end of the point. If you go inland a bit you will find more snakes including rattlesnakes and moccasins. The eastern diamond back is probably the largest and maybe most dangerous snake in the US, but you probably won't see one within a few miles of the house. You find them more inland. Wakulla Springs and the upper stretches of the river have produces some of the largest water moccasins ever recorded, one over 6 feet in length! There are supposed to be coral snakes and maybe even a few copperheads in Florida, but Rob hasn't seen a coral snake since the 60's and Kate has never seen one, neither of us have ever seen a copperhead. None the less if you do see a snake just avoid it, please don't kill it. Snakes of all kinds are becoming depleted in Florida and anything you see near the house is almost certainly harmless so just look, give them a wide berth and live and let live. Bears are actually the only "dangerous" animal we know of that’s been seen on the beach is a black bear (and they are mostly dangerous to garbage cans, picnic baskets and the like). One was spotted on our end of the Point a few years ago, there are bears in the woods nearby to the north, seeing one at the beach would be very rare. You may see an occasional coyote or "red wolf", they are about as dangerous as a large poodle. Oh, and about bugs, of course we have bugs, the only way to see the Gulf Coast without them is on TV, or from your air-conditioned car window. Take repellent, we think deet based replants work best. Avon’s skin so soft works too, it just takes more, and more frequent applications. Bugs are really only bad in the warm months, and fortunately in the warm months sea breezes are common. The afternoon sea breeze is the best natural defense against bugs, most days you wont need repellent on the beach, but go a hundred yards or so inland and you will. Some days if you go from the house to the beach it's fine no bug and at same time if you go out the door towards the road you'll get eaten alive. On the beach the little "no-see-ums" are worse than mosquitoes, but avoidance/repellant strategy is about the same. As the breeze dies down in the evening move to the screened in porch. We have learned to manage the bug thing quite well, and are sure you will be able to also. We hope you enjoy your stay and that you will want to come back. We try to keep a guest book in the house please write a few words in it before you go. We do update this document periodically, but can't guarantee its accuracy. If something is particularly important to you call or check it out first. A man walked into a bar with his alligator and asked the bartender, "Do you serve lawyers here?" "Sure do," replied the bartender. "Good," said the man. "Give me a beer, and my gator will have a lawyer." An alligator walks into a bar, orders a drink. Bartender serves him and charges him $10.00. Bartender says, "We don't get many Alligators in here." Alligator says, "No wonder, at these prices."